Getting more traffic is only the first step in making more money. You need to know how to turn that traffic into paying customers. Our Pay Per Click marketing experience means we know what works and what doesn’t when it comes to converting traffic into sales. A well made landing page acts as a money making machine, traffic goes in and sales come out. Our click pages put everything your customers need to know about your services in one place, without overwhelming them with an entire website of information. Then, we use direct marketing copywriting to convince them to act now. Landing pages are built to convert traffic to sales. 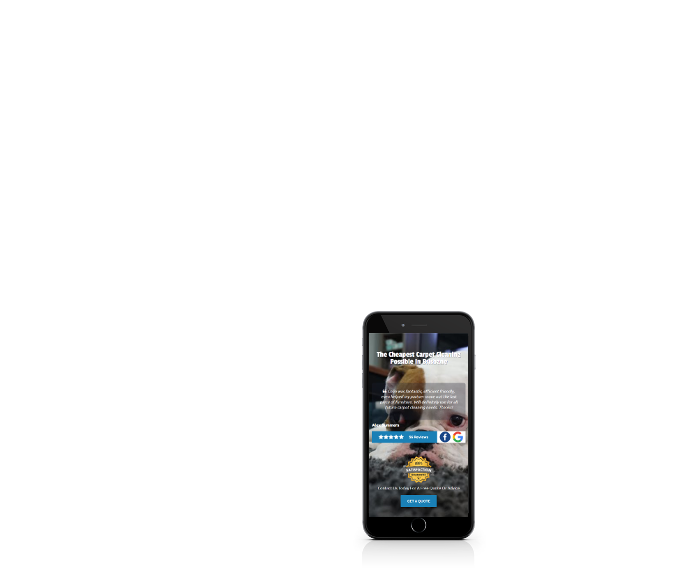 Our click pages are tailored to appeal to your audience and control the experience from click to contact. With a single landing page we can build brand trust, provide valuable information and convince consumers to buy. Our click pages turn your traffic into paying customers. ..has help rocket my online presence far quicker than i though was possible. Great to work with and results you cant argue with. His attention to detail is far superior..
..advertising campaign have taken my one man start up to employing 5 full time staff in less than two years. I would thoroughly recommend Jonathan and the team if you want to grow your business. ..Both our businesses websites rank in the tops spots of google and where we had to contract out to other businesses we now get the work directly. Couldn't be happier! I had engaged and removed three SEO companies prior to meeting Jon and I can tell you without a doubt that he is the sharpest, most knowledgeable and honest internet marketing person I have met. Landing pages can be used to take an average performing website, and turn it into a money making machine. At Click Street we use direct response copywriting and industry expertise to create high converting landing pages that will appeal to your target demographic, and help get them over the line. It doesn’t matter how many people are clicking on your ads if the page that they land on doesn’t convince them to buy. In fact, irrelevant clicks or clicks that don’t lead to sales are just costing you your hard earned money, and increasing your cost per conversion. However, with great landing pages you can use market research and information about your audience to get fence sitters over the line and close more sales. A well designed landing page will also lower your cost per click by making your ads more relevant to the landing page. This reduces cost per click as quality score is highly dependent on ad relevance and the higher your quality score is, the lower your cost per click will be. The team at Click Street are experienced in all areas of search engine marketing so we know exactly how to make your ads highly relevant to your landing page to reduce your cost per click and ultimately get you more results for less. If you need a website landing page design that will make the most out of your marketing budget, and erupt your sales, choose Click Street landing page design services. If you want to convince consumers to buy your products or services you need a landing page design agency that understands the sales process. 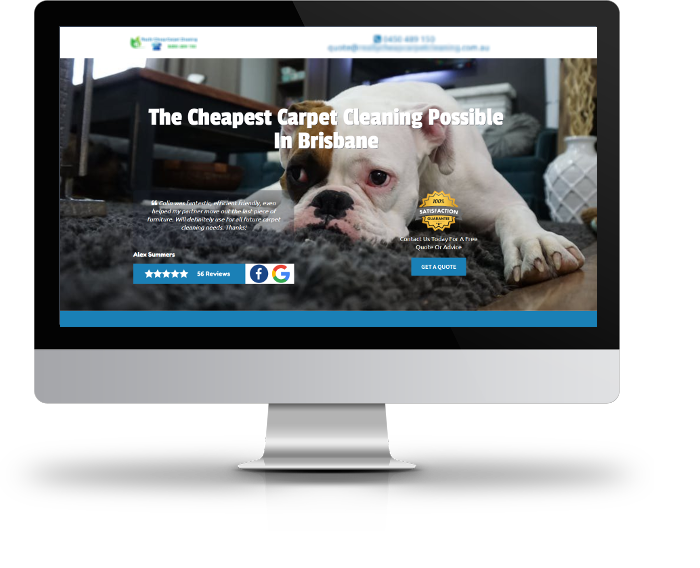 Click Street have created high converting landing pages for many Australian businesses based on extensive industry research and the search engine marketing experience of our team. The best landing pages are ones that convince site visitors to act now. We will find out who your target audience is and what is holding them back from purchasing to design a landing page that will get them over the line. If you want the best website landing page design agency Brisbane has to offer, give us a call! Unlike many other landing page development agencies, we won’t just give you a carbon copy of every landing page we’ve ever made. In fact, when we build you a landing page it will be styled to your brand and designed to appeal to your target audience. Landing pages can also be used to build trust by displaying all the product information the user needs as well as guarantees and social proof all in one place. Social proof such as testimonials and Google reviews can significantly boost sales, and with a great landing page design you can make sure that potential customers know about your 5 star rating. The majority of clicks that come from pay per click advertising are from ready-to-buy customers. They don’t want to be searching around your site to find the information they need when they could just as easily buy from one of your competitors. But with a well designed landing page you can tailor the information displayed to their search query rather than just directing them to the general home page.